JAKARTA, Indonesia (CNS) — Catholic Relief Services is working with local partners to help determine the greatest needs of survivors of Indonesia’s Dec. 22 tsunami, said Yenni Suryani, country manager for the U.S. agency. The tsunami hit Java and Sumatra islands after the eruption of Anak Krakatau, which lies in the Sunda Strait between the two islands. The Associated Press quoted a spokesman for Indonesia’s Disaster Mitigation Agency as saying the volcanic activity is believed to have triggered an underwater landslide and that a large chunk of Anak Krakatau’s southwest slope collapsed. This movement displaced a large volume of water, creating waves that raced toward the shores with little warning. Suryani noted the tsunami followed an earthquake in Lombok in July and an earthquake and tsunami that hit central Sulawesi in September. “This tsunami also reminds us of the tsunami that hit Aceh exactly 14 years ago today,” she said. That tsunami and preceding magnitude 9.1 earthquake off the coast of Indonesia killed 230,000 people in 14 countries. “For many years since that 2004 disaster, we have trained local partner organizations in efficient and effective disaster response, and that investment has been critical in quickly getting the right help where it’s needed most,” Suryani said. 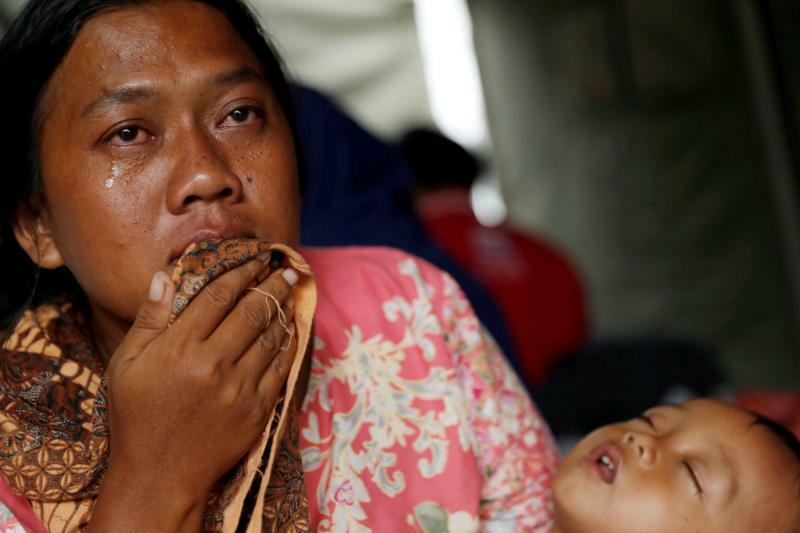 Catholic leaders offered prayers for Indonesians after the tsunami. In the Vatican’s St. Peter’s Square Dec. 23, Pope Francis led an estimated 20,000 people in praying a Hail Mary for the victims and survivors. The pope asked people to demonstrate their solidarity with those struck by the disaster and asked the international community to mobilize assistance. In the United States, Cardinal Daniel N. DiNardo of Galveston-Houston, president of the U.S. Conference of Catholic Bishops, expressed support and prayer on behalf of Catholics in the United States. “Our prayers and condolences go out to all those who have died or have been injured by the tsunami that struck Indonesia in the area around the Sunda Strait,” he said. “As we prepare for the celebration of the birth of Christ, I ask all those in the church here in the United States to pray for healing, consolation, and relief to our sisters and brothers suffering in Indonesia,” he said.